Too often derided for the poor performance of some of his compound locomotive designs, Webb created what was probably the greatest railway manufacturing works of the time at Crewe and oversaw the production of a fleet of locomotives that provided reliable performance and regular dividends for the shareholder’s of the Company. Originally written as a thesis for the Fellowship of the Library Association in 1965 and “rediscovered” in 2010, this bibliography comprises a vast number of sources of information on the life and work of the Premier Line’s CME. The original material is reproduced without alteration, but a separate section of notes and comments has been added to bring it up to date to the present day, along with archive and specially commissioned photographs. 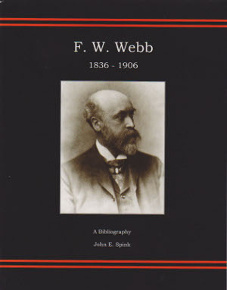 The extensive information on Webb’s technical achievements is of particular interest to students of Victoriana and Edwardian industrial history, as well as to historians and enthusiasts of the LNWR.